Tires are vital pieces of vehicle safety equipment that are easy to take for granted. 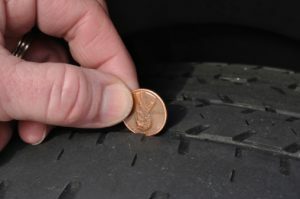 Many drivers run their vehicles for thousands of miles without considering the inflation and tread of their tires. It can be easy to forget about the extensive wear and tear to which tires are subjected – at least until there is a problem. Proper maintenance can help drivers identify tire problems and address them before they can cause an auto accident. When accidents do occur, a Buffalo car accident attorney can help victims protect their legal right to compensation. Like other cold-weather cities, Buffalo has often-icy roadways, which can seriously damage tires. Ice, snow, and road salt can all lead to uneven roadway surfaces, and the damage done to tires lingers long after winter’s end. Temperature fluctuations can expand small chips or cracks in roadway asphalt or gravel. This can cause larger obstructions, such as potholes, to develop in the roadway. Such obstructions can seriously damage tires. Many Buffalo residents have been seriously injured or even killed in car accidents caused by damaged tires. In 2016, the Buffalo News reported that a small child, only three years old, was struck by a runaway car tire while waiting at a bus stop. She was transported to a local hospital with unknown injuries. The tire had flown off a passenger vehicle passing by the bus stop. It is not known whether a manufacturing defect or negligence on the part of the owner was responsible for the tire coming loose. In nearby Cheektowaga, a man caused a pileup of several vehicles after one of his tires blew out while driving on Route 33. According to WIVB, the man lost control of his vehicle after the tire blew out, and ended up striking a light pole in the center median. The pole then fell across lanes in the opposite direction. Drivers swerving to avoid the pole ended up rear-ending one another, flipping over, and even becoming airborne. Several were transported to nearby hospitals. In addition to injuries, the tire blowout also caused heavy delays during rush hour traffic. Buffalo drivers must take responsibility for maintaining their tires in a safe condition. Failure to do so may cause an insurance company or jury to find the driver negligent. The negligent driver can, in turn, be held legally responsible for compensating the victims of a resulting accident for their injuries and financial losses. While there is no clear rule for avoiding liability due to negligent tire maintenance, drivers can take simple steps to reduce the likelihood of being found negligent. The National Highway Traffic Safety Administration has published maintenance schedule suggestions for standard tires. Vehicle owners should also be sure to inspect their tires regularly before setting out on the road. Look for debris which might puncture the tire, under- or over-inflation, and worn treads. After a tire-related car accident, a Buffalo car accident attorney can help injury victims determine who was liable for causing the accident and how they can best access compensation for their injuries. can assist you in seeing justice served and attaining resolution. Referal fees are paid on qualifying cases within ethical guidelines. Buffalo Personal Injury Blog powered by WordPress.